Since both of us know our way around a kitchen, it was almost obvious that we would choose to home-cook Mia’s food once she was ready for it. She was interested in our food from as little as 3-4 months and we ended up giving her bits of finger-food as soon as we knew she could manage it. By 6 months she was starting to eat small portions of everything we ate. 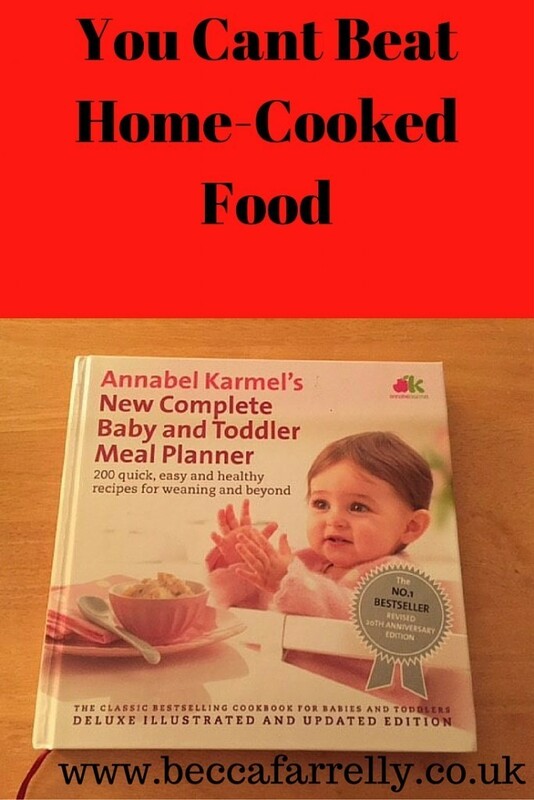 We were given a really useful recipe book by Annabel Karmel (Complete Baby and Toddler Meal Planner) as a present when Mia was born and as I like to be in control and planned for things, I found the meal planners in each section very useful. 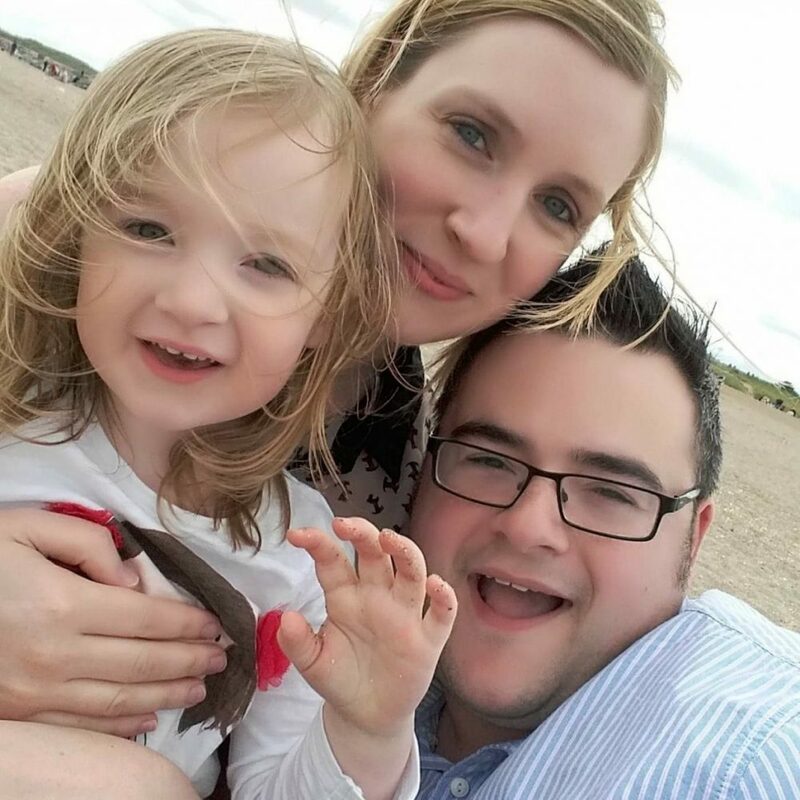 As first-time parents, it also helped to have a bit of guidance of what Mia should be eating, how often, and in what quantity. 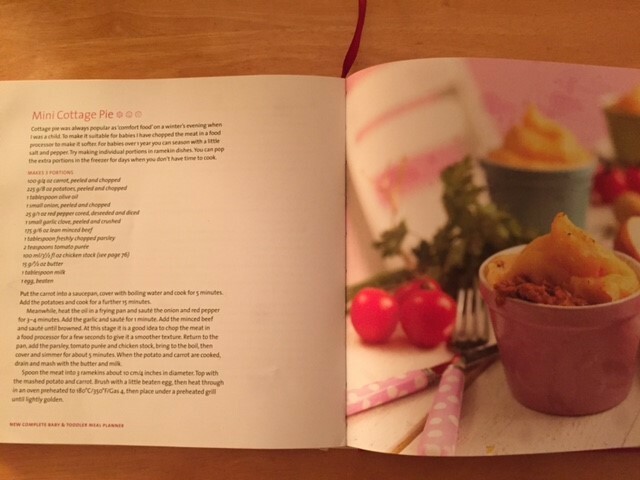 The book itself has plenty of recipes from pureed fruit and vegetables, which meant we could make up 2 week batches of food at a time in freeze-able pots, through to recipes we still use today such as beef stew and numerous pasta dishes. 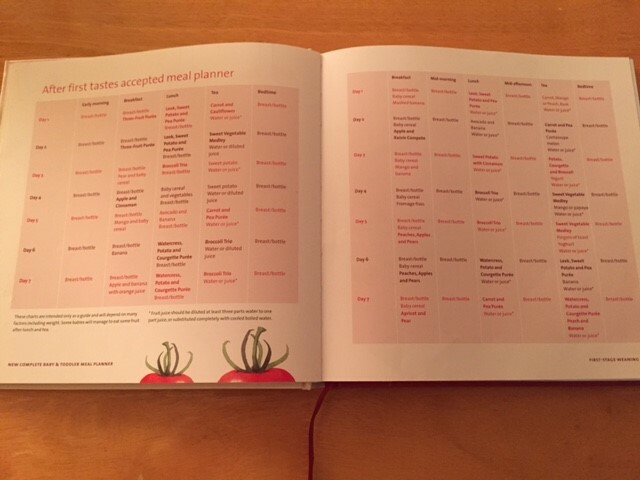 I did stick religiously to the meal planner for probably the 1st year but once I got into the swing of it, I felt far more confident to go it alone and now just dip into the book for dinner ideas. Making up 2 weeks’ worth of puree meals for Mia was a bit of a faff as it tended to take a good couple of hours to make, cool, puree and ‘pot up’ but it was well worth it to be able to grab a couple out of the freezer and defrost them ready for the next day. We still cook in this way for Mia now as it means there’s always things in the freezer ready for her, takes less time to prepare, and saves money. I usually make adult sized lasagna and bolognaise, etc… and separate into 5 portions for 5 different days over the next month. 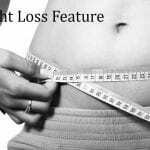 We are confident that as she has had so much variety, she will continue to eat well as she gets older and even now there is nothing she won’t eat! 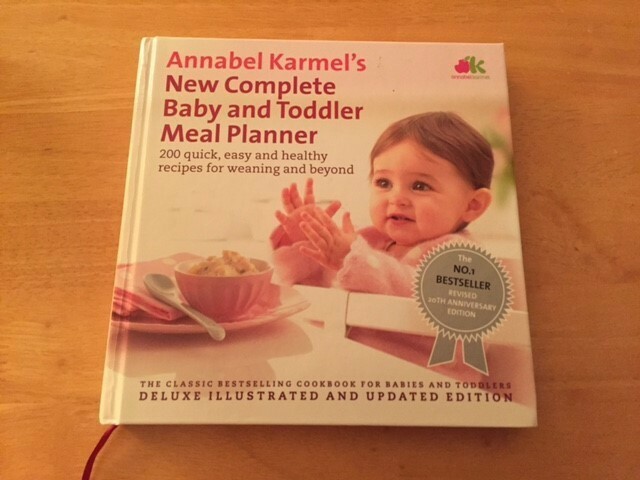 I appreciate that we are very lucky in that we are confident cooks in the kitchen and know what is healthy for us as a family but I highly recommend trying Annabel Karmel’s recipe books for an idea of what and how to cook food for babies and toddlers. I loved the Annabel Karmel books too and I still have one on my cookbook shelf, even though my youngest is nearly seven. Making purée is a bit of a faff, but still worth it and I had a small blender for whizzing up portion of the meals I made. I’ve still got one of those somewhere. They’re excellent 🙂 Thank you for the trip down memory lane! Loved her book 10yrs ago with the Twins and will be using it again now with Bubs when the time comes!